For all the frequent flyers and newcomers to Little Genius Projects, welcome, welcome, welcome! So many changes and plans are happening at LGP. 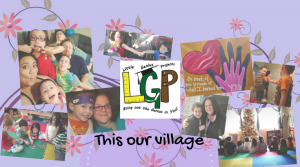 For 7 years, LGP has served parents, teachers/tutors, and child care givers with educational projects and originally designed resources and classroom material. NOW, LGP is expanding farther! It has been a dream of mine to make a difference in this world, and I finally found my calling through LGP. But, instead of just changing things randomly and without warning, I wanted to be fully transparent with you. We will still continue to provide free project instructions and continue to add more instructions as we grow and expand. All our ready to print templates will also continue to be available to the public. There will no longer be “subscriber only” projects and templates. Access to educational materials like flash cards, tracing pages, and lesson plans will be shifting to an LGP membership. We will still provide 5 FREE basic education resources that can be used to jump start your child’s education through the free LGP Basic Membership. All other resources and more will be available through a paid LGP Pro membership. This decision was not made lightly, having served this community with free material for so long. However, this will not only allow LGP to provide MORE educational support, but help us expand as well. Though LGP will continue to support our children’s education and uphold all the principles we have maintained from the beginning, we are now going to shift away from focusing just on projects and preschool. To reflect that, our Little Genius Projects Facebook page will become the hub of our new LGP Community. We are planning to change the name of the page to help promote the feeling of support and togetherness in our village! Our focus is now on you. The LGP memberships will open up new ways for us to get to know YOU. More and more parents, teachers, and child care givers are NOT getting the support they need and deserve. After all, it takes a village to raise a child right? At LGP we want to help our parents build stronger families by becoming stronger parents. Sometimes, as parents, we feel that we are damned if we do, damned if we don’t. Being a parent myself, I understand exactly how that feels. So, I decided I wanted to bring the focus back to YOU because you are the core of your family. So we will be offering Parenting Empowerment courses, Love and Logic training, weekly and month live community sessions to keep us motivated and on track, and one-on-one sessions with a parenting coach. Our community will focus on building a strong parenting mindset and offering non-judgmental support. Our mission is to help parents discover what kind of parent THEY want to be and provide tools to help them become it. We won’t only focus on one strategy or master plan of parenting. We will help you build a solid foundation in Love and build a Parenting Tool Belt so you can feel confident that you can handle most parenting situations. I am so excited this dream is finally becoming a reality and YOU are part of this journey! …and for being a part of our LGP Community!